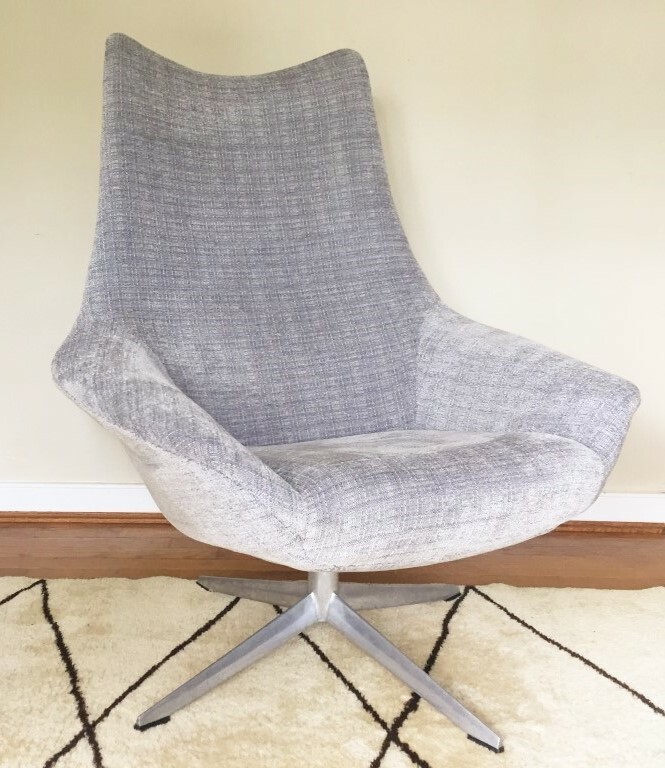 This Danish Modern Upholstered Swivel Chair by H.W. Klein for Bramin Mobler has been newly reupholstered in a durable, slate grey fabric. The faint, textured weave hugs the curves of the chair and adds visual depth. The chair base is mounted on a chrome base further complementing the fabric. Aside from an impeccable form, the Egg Chair swivels and provides exemplary comfort.